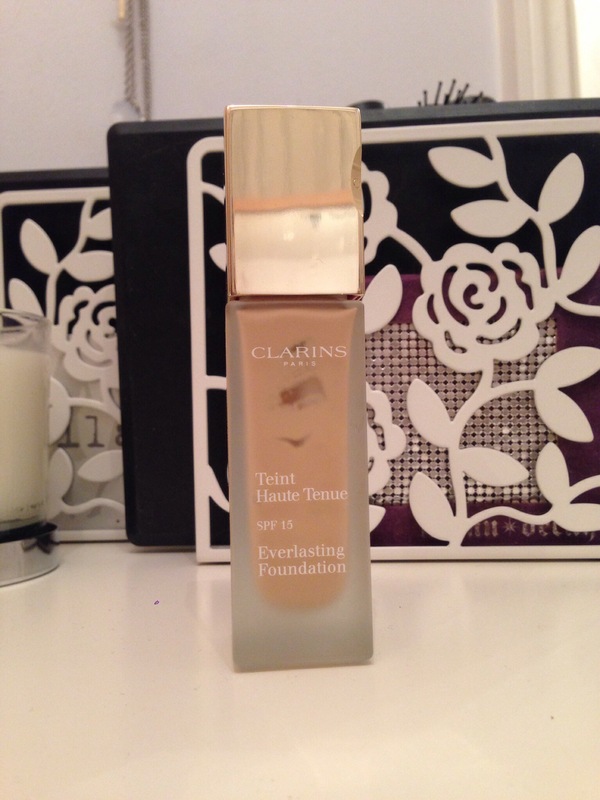 Clarins Everlasting Foundation | The Foundation Diaries – The Beauty Spot. I have to start this one off with how underrated I feel this foundation is. This is my ultimate Holy Grail foundation. I was hoping that that would be enough of a post, but that’s not exactly a ‘review’ is it! I used to work for Clarins, so I was lucky enough to try a wide range of their products. Since leaving the company well over 12 months ago, I have re purchased this 3 or 4 times. To me that says a lot about the quality of the product. When I use this foundation, I hardly need to use concealer, the coverage is amazing, even from just one layer. I often have to go over with a second light layer and build up the coverage with other foundations, but with this one I don’t need to. Despite the coverage being excellent, I don’t find this looks cakey or too mask-like and also feels really comfortable on the skin. I wouldn’t go as far as saying its feels light, but considering the coverage it’s very comfortable to wear all day. The finish is luminous matte, which sounds like a contradiction, but for anyone that doesn’t like the whole glowing/shiny finish, this is beautiful. The fact that this foundation has a slightly matte finish would lead towards suiting an oilier skin. However, my skin is dry and quite dehydrated and I feel the extra illuminating pigments help with keeping the skin looking healthy, then the hydrating ingredients make it treat the skin whilst you wear it. I’d say the texture of it also adds to that comfortable feeling. It’s a liquid foundation but there’s more substance to it when you pump it out of the bottle, so probably edging towards a creamier formula. The NARS, Rimmel and Estée Lauder foundations all run quite easily on your hand when applying them, which kind of gets on my nerves as my hand gets covered in product! You don’t necessarily have to finish with a powder, but I like to, I don’t think it would give any extra staying power but sometimes doing so can just be a habit you are used to, instead of needing it to fix a base. I find I switch between two shades in this range. They are both yellow based, which definitely matches me much better than pink, but there are 8 other shades in the collection. I think considering Clarins is primarily a skincare brand, this is a good offering for their foundations. The only bad thing about this product is the bottle and pump. 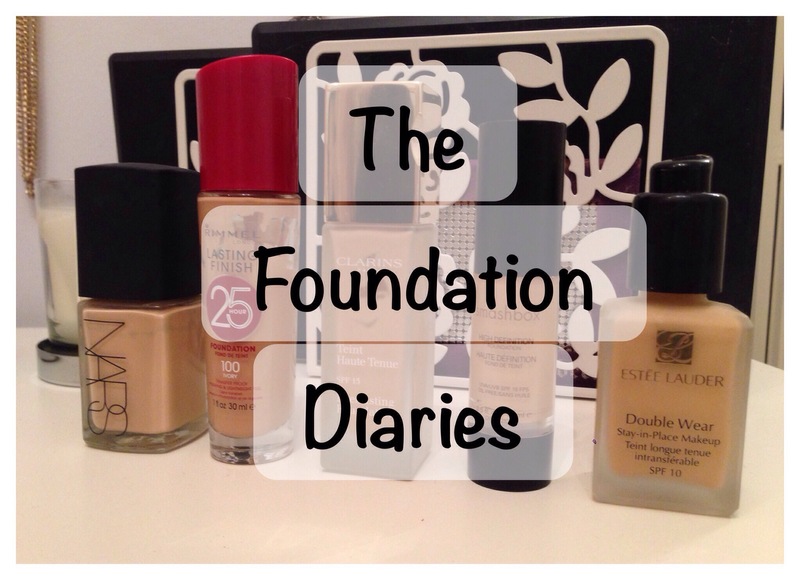 I could probably say this about 4 of the 5 foundations that I’m reviewing this week, but there is always lots of product left over in the bottle when you can’t pump any more out of it. To combat this I bought a beauty spatula (reviewed here) which got me a good week or so more product out if the bottle for me! Quite handy actually as I now have the perfect amount of foundation to take away instead of heavy glass bottles! To be able to trust a product, like I do with this, is amazing. The comfort of knowing I’ll get the right shade and will be happy with my choice is so worth the extra ££’s in comparison to drugstore foundations. Pingback: My Acne Journey: How I cover my scarring and redness | The Beauty Spot. Pingback: What I’m Wearing | The Beauty Spot. Pingback: The Foundation Diaries | The Beauty Spot.